XLG. 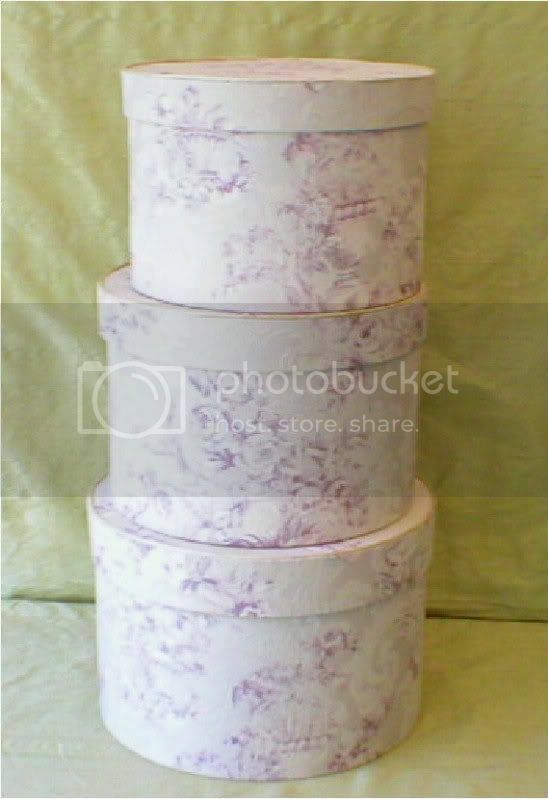 Tall Hat Boxes, Set of 3. Gorgeous, 1940's, Vintage Damask bought at Estate Sale. Stored in Hope Chest for nearly 70 years. 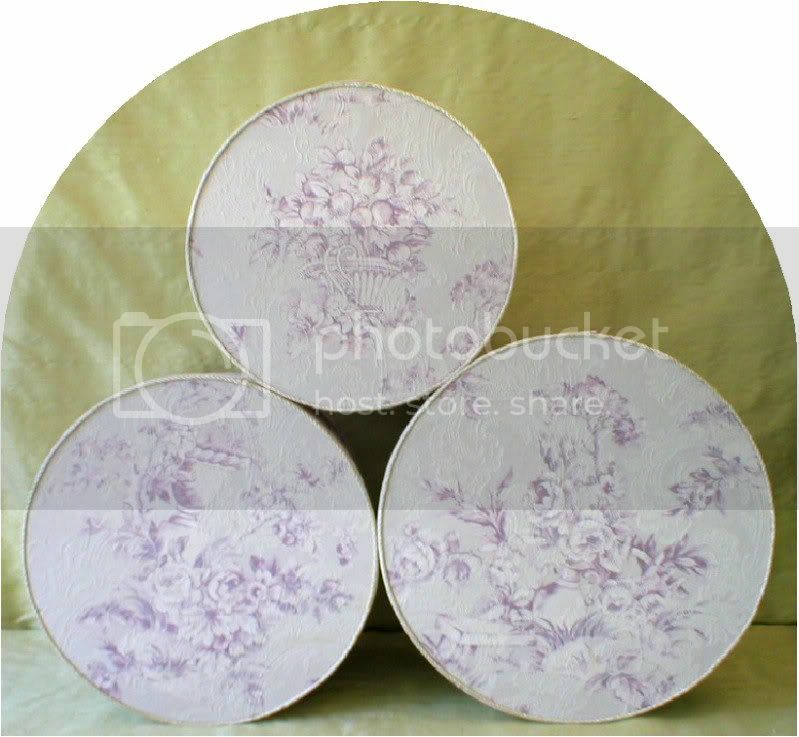 Pale Cream ground with Acanthus Leaves raised motif, and beautiful Grecian Urns with Roses and Fruit in shades of Lavender. This fabric is in such beautiful condition. Stored in hope chest, wrapped in muslin since WW II. No fraying, yellowing or deterioration of fabric at all. Just gorgeous! DIMENSIONS: Small: 10" across X 8" height. Medium: 11" X 10". Large: 12" X 12", 14" x 12".